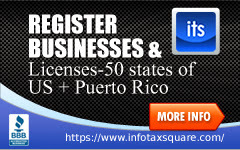 New Business Setup & Complete Business Documents Filing in All 50 States! A new business setup can be a hassle. As a business customer you will find that we try to get to know your business in depth in order to provide excellent service. Choosing a right business structure for your business is a key to save taxes and protecting business and personal assets. To register business you have to choose a most appropriate structure for your business like sole proprietor, corporation, Limited Liability Company and many others will be discussed later below. To setup new business or for a new business registration you must first check the the Check List To Start New Business and Tips to maintain successful business! Your Certificate of Authority authorizes you to collect sales tax on your taxable sales. We can assist you in obtaining Sales Tax Vendor ID Number (Certificate of Authority) for your Business.. Apply Online - 24/7. 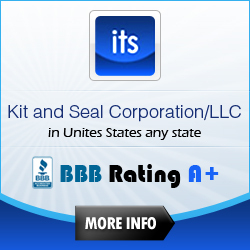 BBB Accredited! A tradename (also know as an assumed name or "doing business as") is the name an owner uses to identify his or her business. A trademark is used to identify the goods and products that an individual or business offers to the public. 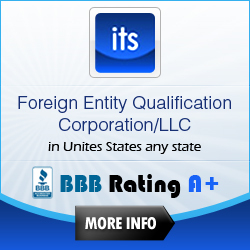 For Example: If your company is incorporated in the state of California, but now you want to expand your business in the state of New York, then you would have to file as a foreign entity within the state of New York. In other words - you must apply for authority to conduct business in New York. InfoTaxSquare.com can help you to Form LLLP, LLP, LP in any 50 States. Most States 24-48 Hours. 24/7 Online Help Available. For Free Consultation Call Today. Order LLLP or LLP or LP Online, By Fax or By Telephone.